America will receive gas from Russia’s Yamal LNG plant, the same project that was previously hit by sanctions imposed by Washington. The first ever cargo of liquefied natural gas (LNG) from Russia’s Yamal LNG plant was recently transported to the UK. Shortly afterwards a tanker called Gaselys took the shipment across the Atlantic to the U.S., Russia’s Kommersant newspaper reports. The tanker is due to arrive at the Everett LNG terminal in Boston on Jan. 22. Gas prices have recently spiked on America’s East Coast after powerful snowstorms. The tanker that brought Russian LNG to the UK is called Christophe de Margerie. On Dec. 8. President Vladimir Putin took part in the ceremony of loading the cargo onto the vessel. The production of LNG at the Yamal plant in the Russian Arctic started three days earlier. It’s an ambitious project worth around $27 billion. Russian company Novatek, which spearheads the project, was hit by U.S. sanctions following the Ukrainian crisis in 2014. As a result, the company reportedly had to seek finances from China. 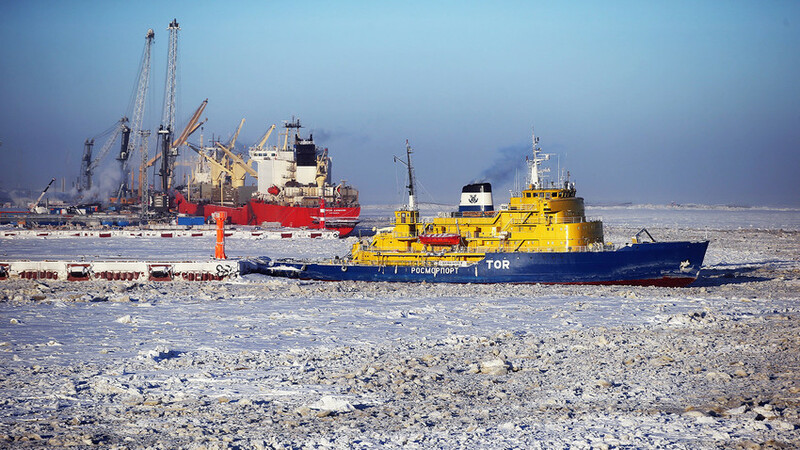 You can read more about the ambitious LNG project in the Russian Arctic here.